Megan McDonough is Asylum Access Malaysia’s Refugee Case Manager, overseeing the Legal Team in providing direct services to refugee communities in Malaysia, preparing for the adjudication of their cases before UNHCR, and upholding fair and equal access and representation for all refugees in asylum procedures. Her role also involves regularly engaging with communities and key stakeholders, and assisting in policy and advocacy activities. Megan began her tenure with Asylum Access in the Thailand office where she was the leader of the RSD team. A human rights lawyer with a focus on humanitarian immigration advocacy and access to justice, Megan previously worked as a Legal Officer for St. Andrew’s Refugee Services in Cairo, Egypt. This role included providing information, counseling, referral, representation, and advocacy for asylum seekers and refugees. 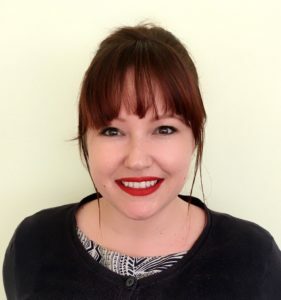 Megan has also worked in legal services in the United States, assisting humanitarian immigrants and victims of domestic violence and trafficking in navigating the US immigration system. Megan received her J.D. from Suffolk University and a dual B.A. from Emmanuel College. She has been admitted to the Massachusetts Bar.